There are many extracurricular activities offered at John Adams High School. Some of these activities include NHS, The Mural Club, The Liberty Partnership Program, PBIS and even many sport programs. There is a Math Team and a Student Government as well as college now courses offered. NHS is a program offered to exclusive students that have 85+ averages. In this program you receive an advantage for college, this can be considered a great achievement for high school students. In this program you must complete 15 hours of community service if your a junior and 30 hours if you are a senior. Being in this program you receive exclusive additional benefits not offered to all. The Mural Club is a extracurricular activity offered on Fridays. In the Mural Club you can receive community service for assisting in painting the walls of the school. The students of John Adams have painted many paints all across the school that represent different school elements. Each painting sends a message to the students and encourages them to do better and pursue there dreams. On the right you can see a painting off the United States that encourages the Newcomers to do better and create a great learning community and embrace diversity. 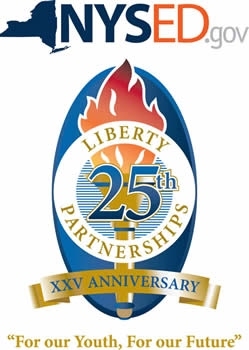 The Liberty Partnership Program is a Saturday school program that is hosted at St. Johns college. Being in this program gives you extra classes to help you in school, and they also have other fun type of classes like Photography, creative writing, recreation sports, RAP, and Film. You only have five classes to take and in your third period is lunch. In lunch you have the chance to dine in Montgoris,which is the campuses buffet. In lunch its an all you can eat buffet, just pay $10 and the rest is all food. Not only class after class but they also have trips to amusement parks, and other fun places outside this state. You'll have lots of fun meanwhile you'll be learning so much in this program. Also with the best staff in St. Johns helping it's the best program. PBIS is a program that encourages students to educational environment. If you are in the PBIS program you help during fundraisers and events for the school. There are rack'em ups. These are slips given to students by teachers or directors when the students get caught doing a good deed. Students can also nominate teachers for a rack'em up. 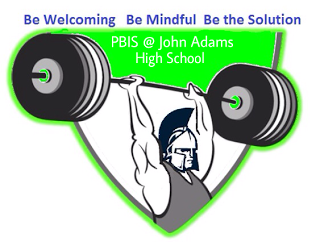 The PBIS program encourages students to also be mindful and be the solution if you see something, say something. But the most important thing to do is to be welcoming to new people and by being welcoming its just as easy as a simple smile, or giving someone a high five. John Adams has a various amount of sport teams. Some teams include: Football, Basketball, Baseball, Soccer, Lacrosse, Bowling, Swimming, Cricket, Golf, Handball, Track, Softball, Tennis and Volleyball. John Adams is proud to say that our Basketball team won the 2012-2013 PSAL championship. Also for the cricket team on there victory in the 2013-2014 PSAL championship. On these sports teams there are coaches and teachers who motivate you to do better, not just to excel in the sport, but academically as well. College now is a program that gives students the opportunity to take college courses while in high school and receive college credit. There are many different college now courses offered to students for example Spanish, Psychology and Health. These are just some of the courses that help you get a head start in college. You can attend up to two college courses each school year. It is recommended that you take one course each semester. College now courses vary depending on the type of course you are attending, Dr. Silverman's Psychology course is on Tuesdays and Thursdays after ninth period to 4:30PM. Ms.Saunders Health course is on Tuesdays and Thursdays ninth period. For college now Spanish, Ms. Benson's course is Monday through Friday, first period. The math team is also an interesting college course that you can take. By taking this course, you can gain an incredibly deep understanding of numbers. You will learn geometric legal moves, the fundamental counting principal, advanced probability, pascal's triangle and many other topics. Global Kids is a great program that guides you on how to become a leader and how to make a difference in the world. During Global Kids meetings they have many discussions. These discussions vary, for example they talk about breast cancer and other topics that can influence us to be leaders and change the world. During these meetings, Global Kids provides you with snacks. If you attend the annex building, after school you must come to the main building for Global Kids. Some of these meetings take place during your lunch period or even after school. Virtual Enterprise International is an in-school live, global business stimulation that offers students a competitive edge through project based, collaborative learning and development of 21st century skills in entrepreneurship, global business, problem solving, communication, personal finance. This program gives students an opportunity to see what its like in a business environment and see the tasks you have to complete. At John Adams there is a office environment design just like a office with computers and office essentials. The Drama Club at John Adams preforms many different plays. John Adams has vocal, instrumental, theatrical talent. Music students have an opportunity to participate New York State School Music Association activities while developing there instrumental and vocal skills. All performing art students will have that chance to sit for regents specific to there area of study. The Drama club performs plays based on holidays too. For Christmas and Thanksgiving there are special plays.